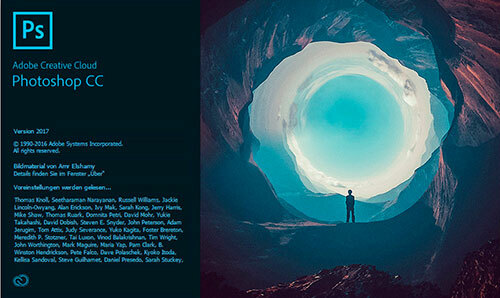 What is new in Adobe Photoshop CC 2017 release? 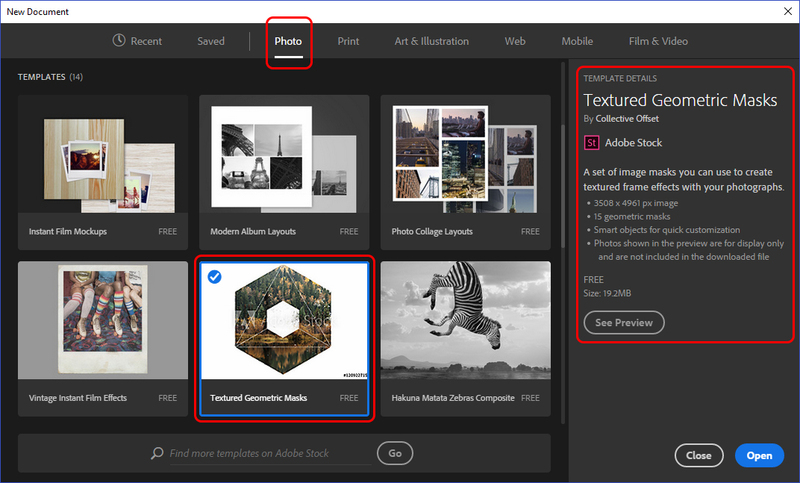 So whats new in the Adobe Photoshop CC 2017 release? 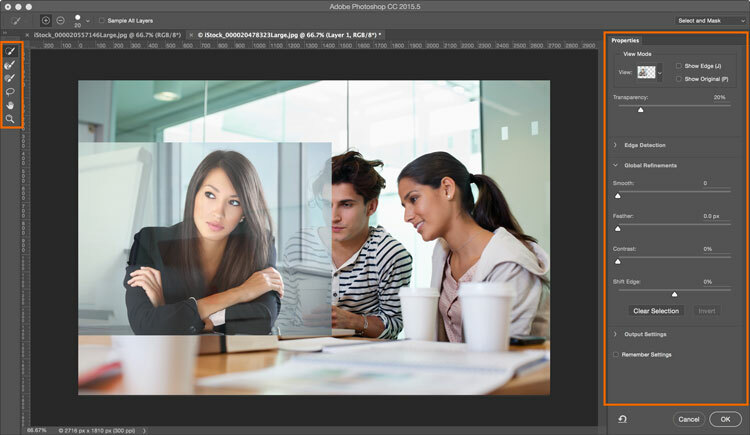 When you create a new document in Photoshop there is now a new window that gives you a huge variety of templates, these have come from Adobe Stock. Some already have layers with content on that you can edit and personalise, this is really useful if you need inspiration rather than starting from a completely blank page. 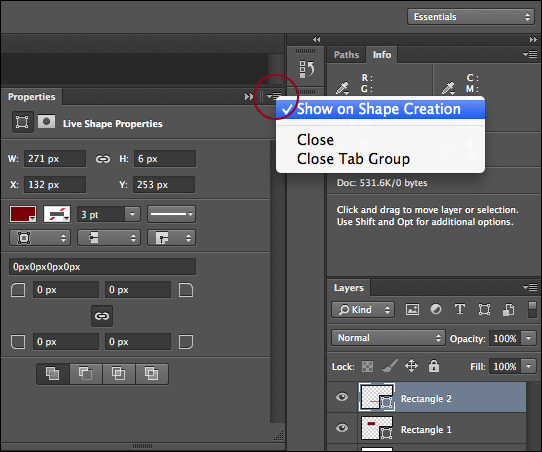 There is still the option to choose between Print & Web presets that have always been there and are very useful. 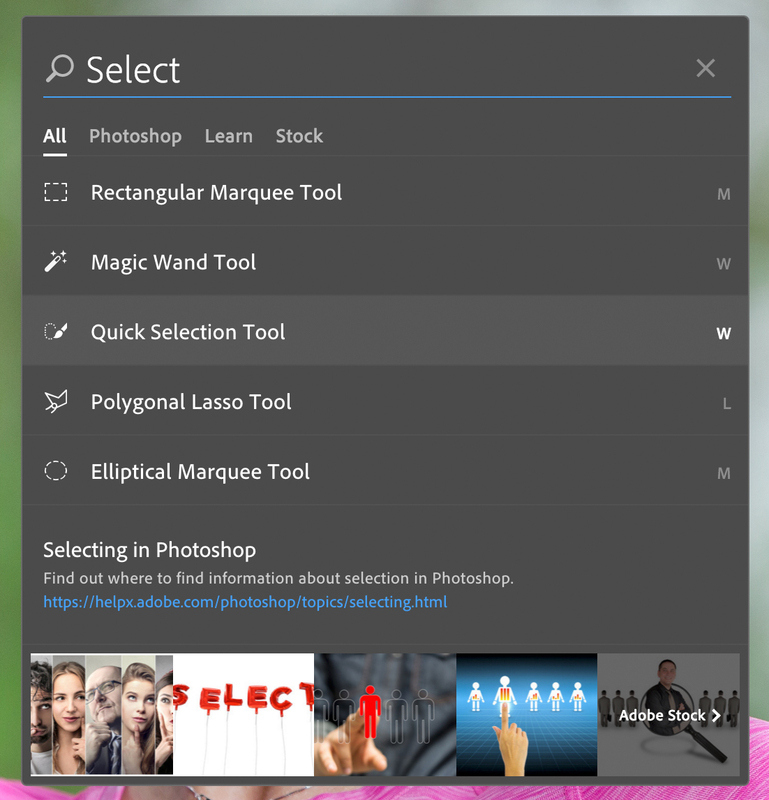 There is a new search option which is really powerful, it helps you to search for tools and also Photoshop help and learning support. You can also use the dialogue to search for stock images and loads more. This is actually a bigger improvement than a lot of people are giving them credit for, Photoshop is such a large application even the most seasoned user can struggle to find features they have not used for a while. Just a quick tap in the dialogue box brings up lots of different results. You are now able to use more of the selection tools in the select and mask workspace, this is not a huge upgrade but it does help and avoid frustration when you are looking for selection tools and they are not there! The ‘Properties’ panel has been redesigned and is now more dynamic. If you’re working with text, it’ll display many of the text controls, whereas if you then select a fill, those options will disappear. Like many of the new features in this release it’s a small one, but it’ll help in day to day workflows, minimising the number of panels you need to have open at any one time. It works a lot like the control bar being context sensitive to the tool you are using and what you actually have on your screen. Lets be honest there is nothing groundbreaking here just a few nice items that will help your Photoshop workflow, Ive just picked the few updates that I think most people will find usefull the full list of updates and fixes can be found on the Adobe website.